Collins Booksellers - Ethereum by Mark Smith, 6610000086566. Buy this book online. Enjoy Massive Returns on Your Ethereum Investments! Do you want to enter today's growing cryptocurrency markets – but feel overwhelmed by the tech lingo that surrounds this opportunity? Don't worry – it's far simpler than it sounds to understand Ethereum and make the most of this exciting new investment option. When you get your copy of Ethereum, you'll discover simple and actionable definitions for new terms like blockchain, gas, and ether. This comprehensive and easy-to-read guide provides everything you need to get started in this new world of finance. Ethereum uses decentralized blockchain technologies to ensure no one can distort the currency by acquiring the majority of it. Imagine – a new financial system built on openness, transparency, and equality! 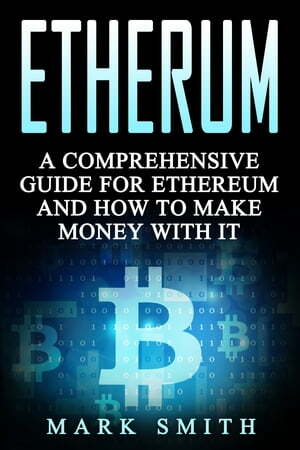 With this book, you'll even learn how to use Ethereum to build your own applications! Don't miss out on this game-changing opportunity – download your copy of Ethereum and start building wealth – today!